Venice Architecture Biennale 2016: Spain has been awarded the Golden Lion for best pavilion at the Venice Biennale, while Gabinete de Arquitectura has been awarded the prize for best exhibition. 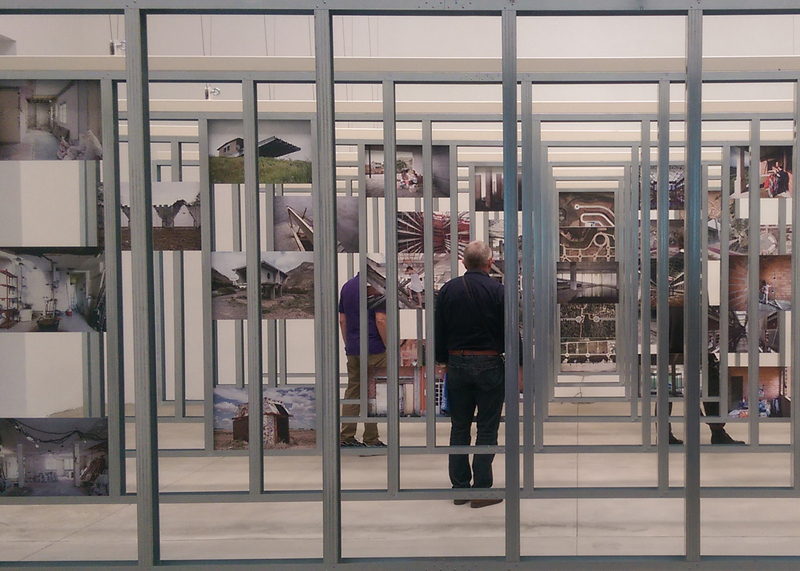 In a ceremony at the Biennale headquarters earlier today, the Spanish Pavilion was awarded a Golden Lion for the exhibition Unfinished, which showcases the new type of architecture that emerged in the country after the financial crisis. Curated by architects Iñaqui Carnicero, co-founder of Rica Studio, and Carlos Quintáns, it features 80 examples of buildings that demonstrate an optimistic spirit and approach. The jury praised it for offering a "concisely curated selection of emerging architects whose work shows how creativity and commitment can transcend material constraints". Paraguay firm Gabinete de Arquitectura also received a Golden Lion for its exhibition in the Central Pavilion, which demonstrates what can be achieved using two of the most easily available resources – bricks and unqualified labour. The team, led by architects Solano Benítez, Gloria Cabral, and Solanito Benítez, were lauded for "harnessing simple materials, structural ingenuity and unskilled labour to bring architecture to underserved communities". A Silver Lion was awarded to Nigerian architect Kunlé Adeyemi and his studio NLÉ, who transported their Makoko Floating School to the Arsenale for the exhibition Waterfront Atlas. The jury described the project as "a powerful demonstration – be it in Lagos or in Venice, that architecture, at once iconic and pragmatic – can amplify the importance of education." Special mentions were also given to Japan and Peru for their national pavilions, while Italian architect Maria Giuseppina Grasso Cannizzo was also recognised for her work in Sicily, which is on show in the Central Pavilion. Brazilian architect Paulo Mendes da Rocha was given his Golden Lion for lifetime achievement during the ceremony, as announced earlier this month. The Venice Architecture Biennale 2016 is curated by Chilean architect Alejandro Aravena, who has committed much of his career to tackling the housing crisis through the reinvention of social housing models. His theme, Reporting From The Front, is a bid to encourage architects to address some of the most important global issues.